British Prime Minister Teresa May has succeeded in getting a six-month extension from the EU to firm up the process for a smooth divorce. She has until Oct. 31 to accomplish this difficult and intricate task. The last-minute relief came after hectic summit-level diplomatic efforts, including May's crucial meetings with German Chancellor Angela Merkel and French President Emmanuel Macron. The two apparently played a role in delaying the Brexit date. The extension has saved the U.K. from a disgraceful exit on the current deadline of April 12. Now Prime Minister May can sit back for a moment and restart her engines to generate meaningful dialogue and build a bipartisan policy seeking separation from the EU. The wrangling in the Commons over the last months in the run up to March 29 – the original Brexit deadline – showed that the entire Brexit project was increasingly becoming untenable. The more rival politicians pulled punches over the text of the agreement, the huskier they sounded. The poor voters who supported the idea of Brexit in the June 2016 referendum must be looking over their shoulders in utter disbelief at the confusion of their elected leaders. Even the hardline supporters appear empty-headed in terms of offering any result-oriented solution. In hindsight, it can be said that the "yes" vote to the original referendum unleashed unprecedented chaos in British political life. The nation was hardly prepared for it, and the totality of its wisdom has been at loss as to negotiating an honorable divorce. If everything had gone normally, Britain and the EU would have peacefully parted ways on March 29. But the politicians, stuck on the details, lost sight of the ultimate objective. They forgot that the people mandated that they exit the country from the union within a given time frame. The failure of British Parliament has been obvious. There were several votes over draft agreements but all went down the drains. Ultimately, PM May had to request extension after extension. She scrambled for a longer break so that the political parties could revisit their positions and forge an agreement. 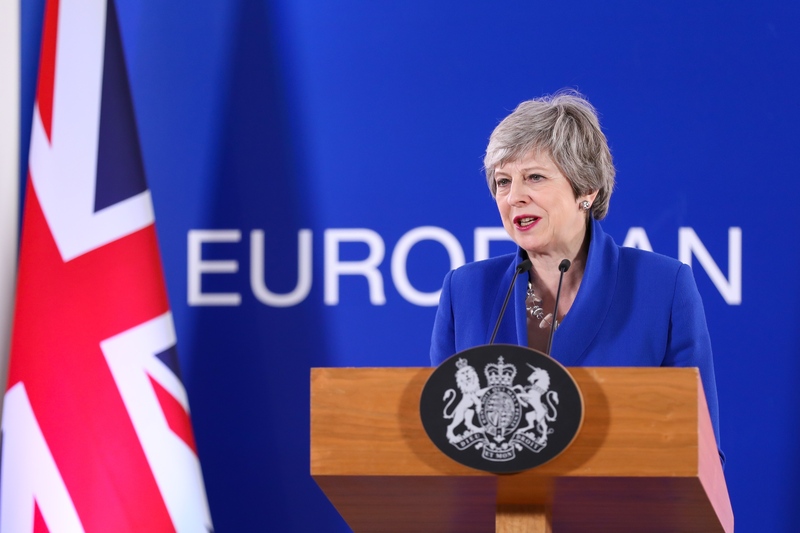 Her political future is at stake, as while trying to restore the sovereignty of Great Britain, May has further compromised the nation's decision-making prerogative. Thus, the U.K. has become more dependent on the 27-member EU than ever before, as it needs goodwill of all members, including those with little political clout, to secure agreement to leave the Union without courting chaos. The ball is in the court of British lawmakers, who should immediately start intra-party talks to resolve the stickiest points that have held the process hostage. Whether it is a custom union or border management with Ireland, a time-bound process should be started to tackle the issues. May is aware of the enormity of the task. She clearly hinted this in a tweet: "The choices we now face are stark and the timetable is clear. So we must now press on at pace with our efforts to reach a consensus on a deal that is in the national interest." But it is not easy. May has lost her control over the party, as well as over the political process. There is mounting challenge from within the Conservative Party that she call it a day and make room for a new leader to head the talks and the process of ratifying the withdrawal agreement. The EU, while granting an extension, has also asked Britain to organize elections of the European Parliament, and in the case of failure to do so, the U.K. will be crashing out of the EU on June 1. The elections will create a huge distraction when politicians should be solely focused on Brexit agreement. The EU has further hamstringed British bargaining power by saying that the withdrawal agreement was final, and that there would be no more talks to reopen it to further adjustments. It shows that the EU is not ready to give more concessions. Britain has to either go ahead and ratify the agreement after minor fine-tuning or prepare to leave the union without any formal agreement. The last option could be to revisit Brexit by seeking another referendum. What looked so near three years ago when the initial referendum was decided, has lately become a never-ending enterprise. With a new deadline of Oct. 31, PM Teresa May and the British Parliament have one last shot at negotiating a conclusion to the never-ending saga of Brexit.